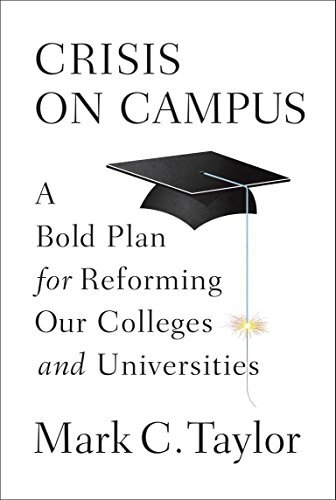 Mark C. Taylor's proposals to fix America's colleges and universities. In a rare centerfold in U.S. News & World Report stands a monk in a sandstorm, pausing en route to his underground desert cave. Something seems out of place—he's holding a laptop. He's halfway between Cairo and Alexandria in Wadi Natrun, Egypt, but he's in the center of the world of thousands of American students. I had handed him my Mac and he was reading emails from ten middle schools in Western Michigan. Our Odyssey in Egypt virtual curriculum soon climbed to the top-ten most-visited websites globally (an accidental byproduct). Over five million people accessed it during one weekend, and yet we were teaching from a place so remote that when a scorpion stung our off-season guard, he almost died before other workers could carry him to the only hint of civilization—Pope Shenouda III's monastery an hour's walk through desolation. Perhaps the most remarkable aspect of this educational experiment is that the above article appeared not this year, but November 21, 1996, and my Powerbook (16MB) had a battery that lasted only thirty minutes. My colleague Scott Carroll (now the founding director of the Green Collection) would nightly drive an hour to the nearest phone booth to upload the monk's emails and our curriculum for the following lesson. By all accounts, the Michigan schools rated it among the best learning experiences their students (and teachers) had ever engaged in. It was a new approach to addressing teaching outcomes that had seemed to shackle creativity and student interest. At one point, Dr. Carroll dismissed some professors from the planning sessions because their consultation became predictably pessimistic, laden with traditional educationalese and preoccupied with logistical difficulties. Every new idea was met with "Educational regulations dictate that we …" or "Research shows that …." I wrote on the board, "Philosophy before logistics."